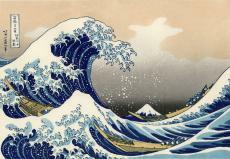 A haiku I wrote about the Great Wave off Kanagawa. © Copyright 2019 Toirdhealbhach. All rights reserved.